Growing up in northern Alberta, I enjoyed a successful career in finance before pursuing the more creative pastime of writing. 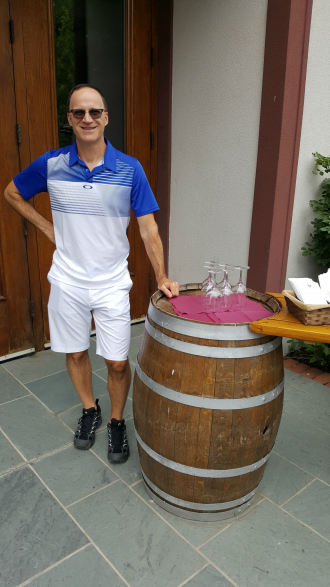 A lifelong wine enthusiast, I enjoy studying wine, visiting wineries, attending tasting events, and just savoring a glass at home with my lovely wife, Leanne. Like the protagonist in my novel, I also enjoy running and have completed many marathons and half marathons. I’m now lucky to make my home in the Okanagan, one of Canada’s premier wine regions. 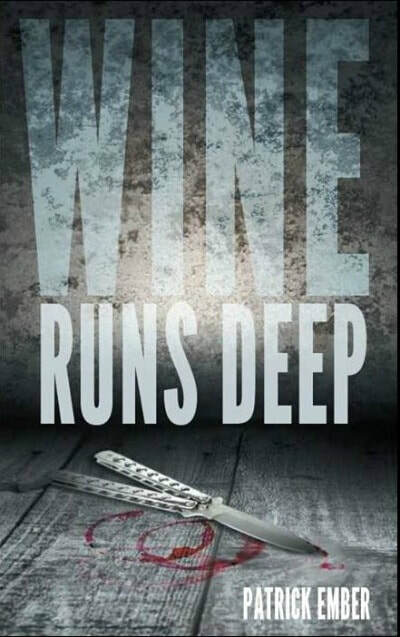 It has been immensely satisfying to combine my passions into my first published novel, Wine Runs Deep. Patrick Ember: Wine Runs Deep is a fun crime caper, reminiscent of the movie Sideways, but with more danger and certainly more blood. Fifteen years after running from his troubled childhood in the American Midwest, Beckett Jensen has reinvented himself as the owner of a successful upscale winery in Paso Robles, California. But his serenity is overturned when his past comes back to haunt him in the form of an unruly group of former schoolmates, who arrive unannounced. What begins under the guise of a social visit with drunken hijinks and a hilarious wine tour, turns nasty as the unwelcome visitors’ true intentions are revealed. Through a combination of guilt, blackmail, and physical threats, they force Beckett to assist them in plotting a daring crime. If he participates, it’s almost guaranteed they’ll all be caught and go to prison. But if he refuses, his new life, his winery, and everyone he loves might be destroyed. Caught in a terrible dilemma, Beckett is forced to reckon with the burdens of his past and tap into the darkness within, hoping it is powerful enough to conquer the darkness without. 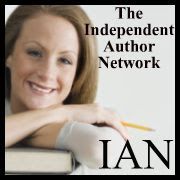 IAN: Is Wine Runs deep published in print, e-book or both? 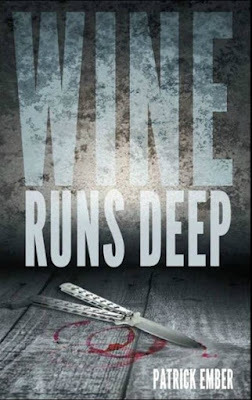 Patrick Ember: Wine Runs deep is available in hardcover, softcover and all e-book formats. IAN: Where can we go to buy Wine Runs deep? IAN: What inspired you to write Wine Runs deep? Patrick Ember: I have long enjoyed reading and watching movies. When I did, I found myself often critiquing them, determining what worked well and what could’ve been done better. At some point, I started to believe that I could be a skillful storyteller. There were many naysayers, but the more times people told me I wouldn’t be able to do it, the more certain I became that I would. IAN: How long did it take to write Wine Runs deep? Patrick Ember: Wine Runs Deep took about eight months to write, but I had a fairly complete outline before I started. The writing process was difficult but that paled in comparison to the challenges of navigating the world of publishing. Patrick Ember: I was tossing around several ideas with the intent of finding a title that was suspenseful and tied in the wine component. It was actually one of my beta readers who first coined the phrase, Wine Runs Deep. It had the desired effect, was catchy, and also served as a metaphor for the life of my protagonist. IAN: What do you hope your readers come away with after reading Wine Runs deep? Patrick Ember: I hope readers come away thoroughly entertained. I tried to push all of the emotional buttons, intent on making every page compelling. Readers should laugh, cry, cringe, be touched, be terrified, and develop a thirst for fine wine. Patrick Ember: The plot is mostly imagination, from the murky recesses of my twisted mind, but many of my life experiences inspired scenes within. There is a hilarious wine tour where the uncouth villains don't mesh well with high-society and some other colorful happenings that are inspired by actual events. Even one of the darkest scenes in the book is based on tragic events I witnessed. IAN: How is Wine Runs deep different from others in your genre? Patrick Ember: Wine Runs Deep is unique in its depiction of wine country. Many other wine related books are either silly and don’t necessarily portray the wine world correctly, or are overly technical. As such, they tend to appeal to beginners or experts, but not both. I have received rave reviews about my portrayal of wine country from rookies and from esteemed wine educators and believe I have walked the line of educating but in an entertaining way that anyone will appreciate. 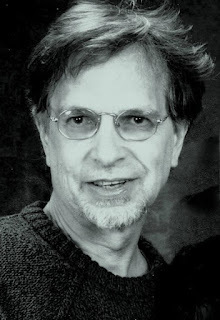 Patrick Ember: Elmore Leonard, arguably the greatest crime fiction writer of all time. I enjoyed his gritty, sparse prose and entertaining plots, but it was his villains that stood out. My writing style is lighter than his, but I believe I have brought a little bit of him into my bungling but dangerous villains. As homage to Elmore Leonard, I dropped many of his book titles into the text of Wine Runs Deep. At some point I will hold a contest where to win, you must correctly guesses how many titles of his I used. Patrick Ember: Teracita at Friesen Press. The cover design was one of the most enjoyable phases of publishing. We batted around several concepts and tried four or five before we settled on the final proof. I love the way this cover plays up the wine/blood dependency. Patrick Ember: Please give Wine Runs Deep a try. There is something for everyone and feedback has been overwhelmingly positive. If you ever want to curl up with a glass of wine and a good book, this one will make a perfect pairing with whatever your choice of vino may be. Cheers. Patrick Ember: My second manuscript is complete. It is a stand-alone story. I wanted to try something a little grittier so I’ve written a new-age mob story set in NYC. In Come Heavy, unbridled youth is a powerful force wielded with the desire for unfathomable evil when Korean and Italian mob descendants band together, hell-bent on returning their crime families to the glory days. It falls on an emotionally damaged detective and his eclectic co-workers to stop them. It becomes apparent that rules and regulations are a hindrance the detectives can’t afford and they explore non-traditional alternatives. But even if they succeed in stopping the evil factions, how damaging will the personal toll be on NYPD’s finest. Labels: Patrick Ember, The IAN Interview, Wine Runs Deep.